Why Don’t I Feel Understood? One thing I have come to look upon as almost universal is that when a person realizes he has been deeply heard, there is a moistness in his eyes. I think in some real sense he is weeping for joy. It is as though he were saying, “Thank God, somebody heard me. Somebody knows what it is like to be me.” In such a moment, I have had the fantasy of a prisoner in a dungeon tapping out day after day a Morse Code message, “Does anybody hear me? Is there somebody there? Can anyone hear me?” And finally one day he hears some faint tapping that spells out “yes.” By that simple response, he is released from his loneliness, he has become a human being again. There are many, many people living in private dungeons today, people who give no evidence of it on the outside, where you have to listen very sharply to hear the faint message from the dungeon. Carl Rogers Freedom to Learn ( 1969 p.224). What happens when you feel understood? Good question. To feel understood, and to understand in return, requires an intentional communication process. Listening for understanding is key. When a couple, for whatever reason, is unable to listen to each other for understanding, criticism and defensiveness are usually the results. They may have clashed over who had power and control, or they may icily “do their own thing.” They may see this as flexible and permissive, but it’s a cold distance between them at the end of the day. Both Imago Therapy and the Developmental Model have been shaped by the work of Margaret Mahler. They share an interesting value around a couple’s “intentional dialogue.” They both value differentiation as a pathway to begin to feel understood, freeing up the emotional energy to more authentically discern one’s own thoughts and feelings in a calm and deliberate way. The evidence-based EFT model and the Gottman Method are either, as in the case of EFT, far less curious about the merits of focusing on differentiation, or fairly dismissive of the idea, as is the Gottman Method. You can see where an emphasis on “two realities,” and valuing calm in resisting the “contagion” of your partner’s strong emotion can sometimes complicate the intent of the science-based, attachment-oriented couples therapy models. To feel understood is essentially a more experiential process in EFT. So why do some therapists expose themselves to this never-ending attachment vs. differentiation debate? Because there are certain schemas such as Entitlement/Grandiosity, Self-Sacrifice/Subjugation, and Social Isolation/Alienation, where the notion of differentiation is an excellent clinical tool. While clinical research is lacking, anecdotal evidence of the importance of emphasizing differentiation in certain schemas is abundant. I once had the uncomfortable experience of watching a video of a young EFT therapist in training attempting to work on the “attachment needs” which “terrify” the husband depicted in her video. The wife was staring off into space, not even looking in the direction where her husband was animatedly tallying all of her shortcomings as a wife and sexual partner. I asked “What’s going on? “I can’t take my eyes off the wife,” I said. I learned that this husband had abruptly left couples therapy sessions half-way through a number of times earlier with previous therapists. He didn’t like where the therapy was going. Then he would go home and scream obscenities at his 11-year-old daughter. This poor therapist just wanted her client to feel understood. And she decided in her assessment that being an Emotionally-Focused Therapist required her to see the issue through an attachment lens, and unfortunately, she failed to see what was in plain view. In other words, in the service of “understanding,” the grandiose, entitled, rageful, and emotionally abusive husband had managed to manipulate this junior couples therapist-in-training to completely twist the couples therapy to suit his abuse pattern. It wasn’t even couples therapy. The wife was utterly disengaged and wasn’t even pretending to be curious about her husband’s rant. I call this the Bridge of the River Kwai Syndrome. I have met young therapists in training, who were such utter devotees of a particular model, that they fail to discern the long-term clinical objectives. This was a case where the therapist was more invested in her half-baked notion of his “fragile and bewildering attachment needs,” failing to perceive the scary, emotionally abusive parent and partner right before her eyes. 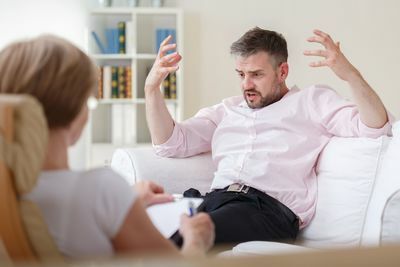 Sure, he may have felt “understood” by the therapist…all the therapist had to do to accomplish that task was give up any effort toward actual couples therapy! At Couples Therapy Inc., we’re not afraid to tell you that we shy away from hiring therapists who are zealous devotees of a single couples therapy model. We prefer to hire therapists who remain endlessly curious. Our clinicians choose to not only train deeply in science-based couples therapy models, but they will also deliberately train deeply in contrarian models. This deliberate cross-training challenges comfortable clinical perceptions, and foster their growth and development as a superb couples therapist. There are a number of different models of Intentional Conversation. Gottman has the Anatol Rappaport Intervention and Dreams Within Conflict (DWC). EFT has the ongoing use of Enactments. The Developmental Model has the “I to I” process, and Imago has the Imago Dialogue. I include all of these interventions under the rubric (appropriated with enthusiasm from Esther Perel)…as Generative Conversations. Every couple therapy model has, without exception, their own version of a Generative Conversation. But some schemas call for a focus on attachment, and some for a focus on differentiation. Terry Real has a handy way of describing this evaluative process. He sees it as a process of identifying the “blatant” partner and the “latent” partner. When the partner receiving the message and accurately feedback what was said, Imago describes this as a Mirroring Process. The ability to feedback exactly what was said, in exactly the same words is an important distinction to the Imago therapist. Consequently, several schemas may fight you on this hyper-focus on a verbatim process. 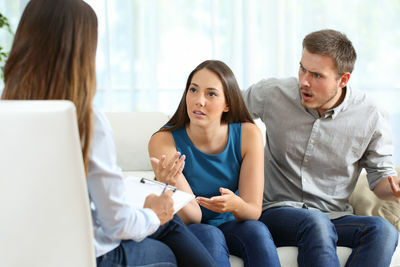 The other couples therapy models value the use of exact words, phrases, and metaphors, but they don’t make a fetish out of a perfect word-for-word repetition. I prefer to call this initial process Attending. When you are attending to your partner you are bestowing non-evaluative attention. You are collecting the facts about how they feel. You are listening for understanding. A good job of Attending would incorporate words, phrases, and metaphors used by the speaker, but I like it when a listener has the ability to calmly reflect and contribute their own additional word, phrase, or metaphor and asks “Is it also like this?”How is it the same? How is it different?” The first step in feeling understood is to feel heard. Validation is the willingness to subordinate your own feelings and imagine your partner’s perspective. To validate is not to agree, although agreements may erupt as understanding grows. Validation honors both points of view. When embraced with equanimity, it shatters symbiosis and promotes a healthy differentiation. The second step to feeling understood is to hear your partner tell you that your thoughts and feelings make sense through your eyes. Empathy is the goal. Empathy is the companion of satisfied marriages. Now, Imago posits that a simple guessing game of “I imagine that might make you feel angry, resentful, or hopeless….right?” is sufficient. Emotionally-Focused Therapy is more demanding it requires a “corrective emotional experience,” and the Gottman Method requires an ever-increasing degree of attunement. The final step in feeling understood is when your partner can feel what you feel, and relate to your emotions. All of these couples therapy models agree that Generative Conversations are a process which improves with practice. 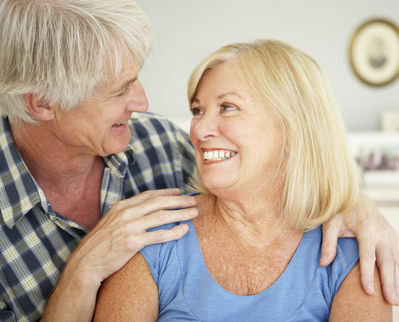 Science-based couples therapy focuses on what works, and we are learning more and more each day. The pathway to understanding is mutual. Wave the white flag. Lean in. Ask good, generative questions, and work to be validating, instead of evaluating your partner’s perspective. There are two realities. Explore both with curiosity and goodwill.